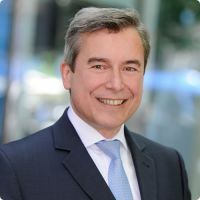 After graduating in business economics at University of Erlangen-Nürnberg Marc started his career at Arthur Andersen subsequently as Wirtschaftsprüfer (German Public Auditor) at Ernst & Young. His main professional focus consists of financial audits of annual and group financial statements of national and international companies, preparation and review of company's and group's financial budgets as well as valuation projects. His clients comprise from owner-driven medium sized companies as well as international productionand service organisations.